Ms. Nguyen is the Vice President , Business Development Officer of Uniti Bank (Garden Grove , CA). With a life-long commitment to the betterment of the Asian Communities, she is the Founder/Board Member of Pacific Trade & Culture Alliance, an association to collaborate Asian communities together to give Asian American the bigger opportunity to gain access to economic advancement through business networking, education, cultural , both locally and abroad. 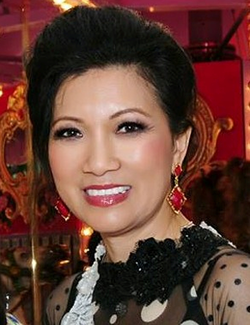 Ms. Nguyen is current President of Dalat City Alumni Association, she is also current Board member of Vietnamese Communities in Orange County (VNCOC). Ms Nguyen used to be the board member of Asian Business Association of Orange County, as well as Westminster Chamber of Commerce, and she used to be the President of Dalat University Alumni Association of Southern California, a Producer of the movie, "The Leaves of Time" (2006), and a Judge for the 2006 Miss Vietnam USA beauty pageant (Las Vegas, NV). Ms. Nguyen currently resides in Southern California.